Scientists for a long time were fairly certain that at one point in the universe’s history, Mars was host to forms of life, but that theory might have just been confirmed by NASA’ rover. Curiosity rover tasked with surveying the Red Planet has come up with surprising results when gathering samples from the soil and the environment of Mars. The Rover found the molecule that is essential for life in the form of nitric oxide released during heating of Martian sediments. Nitrates are a class of molecules that contain nitrogen in a form that can be used by living organisms. Nitrogen is key to sustaining life on Earth, and so the discovery of it on Mars makes it more possible that there was once life on the red planet. Like the discovery of methane in December, it doesn’t necessarily indicate that there is life, but shows the possibility of Mars being habitable. Nitrogen is used in the building blocks of larger molecules like DNA and RNA, which encode the genetic instructions for life, and proteins, which are used to build structures like hair and nails, and to speed up or regulate chemical reactions. “Finding a biochemically accessible form of nitrogen is more support for the ancient Martian environment at Gale Crater being habitable,” said Jennifer Stern of Nasa’s Goddard Space Flight Center. The researchers detected the nitrogen’s presence through analyses of samples taken at three points on Mars. The analyses were made by the instrument SAM (Sample Analysis on Mars) onboard the rover Curiosity. Two of the samples came from drilling at a place called Sheepbed mudstone. The third sample is generally believed to be representative of the global Martian dust. “It has been established that the nitrates, which is a form of nitrogen, comes from fixation of atmospheric diatomic nitrogen in the atmosphere during meteorite impacts, which is consistent with the data that we obtained through the SAM analyses, so this may be the main source of fixed nitrogen on Mars,”. Evidence has begun to pile up about Mars holding key elements, such as oxygen, nitrogen and hydrogen, needed to support life as we know it on Earth. Soon after landing on the Martian surface in August 2012, Curiosity discovered evidence that there had been ancient water flows on the planet’s surface. Scientists suspect that there was once a steady stream of water running about knee deep. Curiosity, after drilling into Martian rocks, discovered other elements needed for life — carbon, hydrogen, oxygen, phosphorus and sulfur. 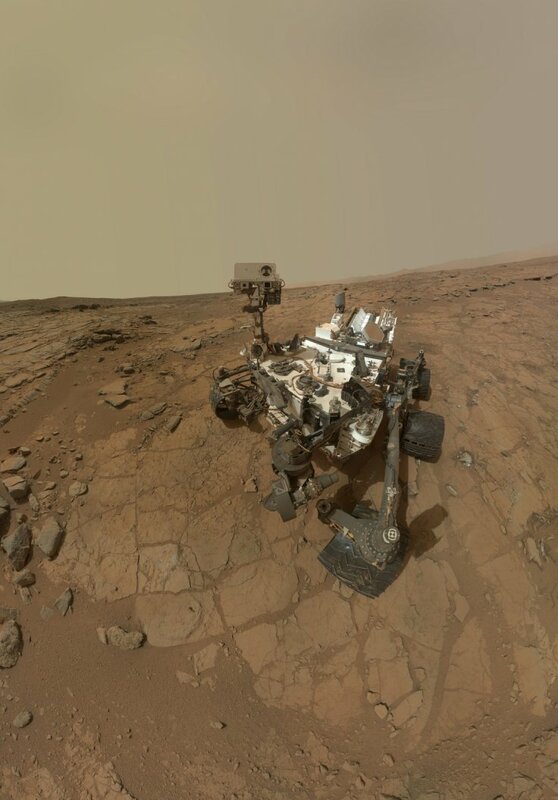 In December, Curiosity detected a spike in methane, another potential sign of life since it can be produced by bacteria or microbes. Scientists reported at the time that if there’s methane on Mars, there could have been – or could be – life there. Now the discovery of nitrogen can be added to the list.